It’s Christmas Eve. It’s a time to celebrate what God did. He brought everything together to do what we could not. He brought salvation to undeserving humanity in the Person and finished work of Jesus Christ. Like a perfect conductor, God orchestrated all things for the arrival of heaven’s King. That night, some 2000 years ago, God pulled off a jaw-dropping display of sovereignty. 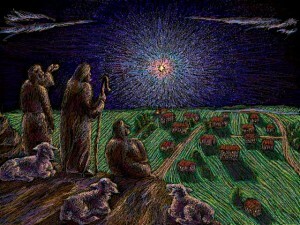 He demonstrated himself the hero as he conducted his plan that he made before creation for the arrival of the God-man. The arrival of the long-ago-promised, long-awaited-Messiah was a stunning demonstration of God’s sovereign love for sinful humanity. 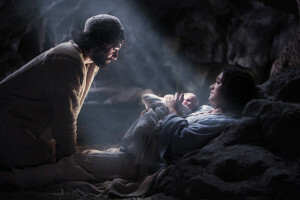 Despite the obstacles of humanity’s sin and contrary historical events, God was moved by his own mercy to sovereignly orchestrate history in order to bring us the Christmas Gift; the Lord and Savior, Jesus Christ. Among other things at that time, the Roman Republic had transitioned into more of an autocratic type of rule shortly after the assassination of Julius Caesar. From the rubble of the Republic rose the Empire, which ruled much of the Mediterranean world at the time. 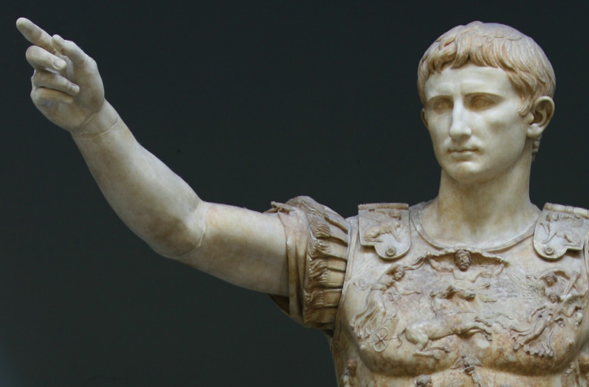 Caesar took the title, “Augustus” (meaning “majestic” or “revered”), which no Roman political ruler ever had. And it’s that title from which a divine-like status came to Emperors, which Christians refused to acknowledge. Even so, Christianity flourished under the eventual tirade of the Empire. Augustus was a man of great power and political success. It was said of him that he found Rome made of brick and left it marble. At that time, Rome ruled about one million square miles of territory with some 60 million people. In the course of time, Caesar takes a census, likely to assert his rule (Luke 2:1 ). Rome ruled and taxes were a painful reminder to the Jews of Gentile rule. So, as one of the most powerful individuals in the world at the time, Caesar is itching to tally his people, likely to boast in his money and might. Yet his movings are merely serving the sovereign purposes of God. “The king’s heart is a stream of water in the hand of the Lord; he turns it wherever he will” (Prov 21:1 ). God is orchestrating salvation on a global level. God made it happen. His plan will not be diverted and the predominant power of man is merely carrying out the predetermined plan of God. It’s frightening sovereignty; God’s plan will not be diverted. It’s also comforting sovereignty; God’s plan will not be diverted. The one’s through whom salvation would come, the Jews, were in an impossible position to do anything great. The ones through whom salvation would not come, the Empire, appeared to be in a likely position to thwart it. But human ability to help or hinder God’s plan is no obstacle. Instead, it serves as a backdrop against which God’s strength and ability to save shines bright. 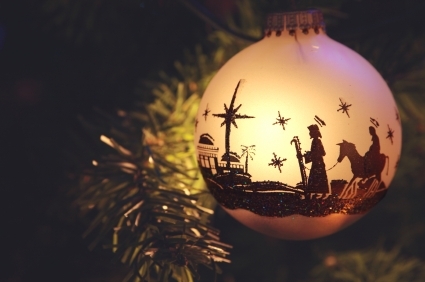 That first Christmas, God is not responding to human might nor playing catch up and clean up. God is creating, controlling, and directing human might, calmly carrying out his plan to bring his love and mercy to the world. There is a little tension in the story. With Micah 5:2 canonized and Mary and Joseph about 90 miles from Bethlehem, the prophecy of Christ’s birth there seems unlikely. But God is taking care of it: “Joseph also went up from Galilee, from the city of Nazareth, to Judea, to the city of David which is called Bethlehem, because he was of the house and family of David” (Luke 2:4 ). Bethlehem was king David’s hometown. Joseph happens to be in the line of David. Just like another prophecy says, the Messiah will be in the family line of David (1 Sam 7:12 , Isa 9:7 ). So then, Joseph is (notably) obedient to the Roman rulers and makes the trip to Bethlehem for the census. God is also orchestrating things to ensure that his prophecies are fulfilled. (And we could also mention prophecies like Isaiah 7:14 ). Joseph and Mary’s trip was not likely without stress. I’ve travelled through this area and it’s not flat. And they are not cruising the 90 miles in a climate-controlled, shock-absorbed modern sedan, but probably a smelly, 4-legged animal. What if Mary goes into labor on the road? What if she needed bed rest? What if she was having contractions or early labor? God handles it heroically, orchestrating things biologically. The most important birth in history was a very normal birth. There are no halos and Jesus does not exit the womb looking like an angry little medieval boy-man giving the peace sign. There is undoubtely labor, water breaking, contractions, and pain. There is Joseph likely not having a clue what to do; maybe fainting. Yet, there is God watching over it to carry it out exactly how he determined. With this conception and birth, the God-man arrives bathed in humility. Somehow, the baby is fully God and fully man. Yet it is not the beginning of our Lord’s existence, but his humanity. And it’s an unfathomable act of humility on his part which will be crowned by his substitutionary atoning sacrifice. God peppers history with irony on purpose. The Nebuchadnezzars turn into cow-eagles. The Hannahs conceive. The Sauls are knocked off their high-horse and converted. The Herods are eaten by maggots. The humble are exalted. The exalted, humbled. It all puts a spotlight on God’s sovereignty. We’re reminded that he sits in the heavens and does as he pleases (Ps 115:3 ). It was no different on that first Christmas. The King’s first place of his human enthronement is a trough. Angels seek, find, and sing to lowly shepherds. These guys were about as low on the glamour scale as you could get; not the type with societal sway. And in a crescendo of irony, the King of heaven becomes a suffering, serving Savior. It’s God’s way of doing things so that no man may boast and he gets the glory. Mercy and sovereignty go together. No one earns or orchestrates his own mercy. Mercy is mercy because another of superior ranking decides of his own will to withhold and divert deserved punishment. This is exactly what God is doing. “And the angel said to them, ‘Fear not, for behold, I bring you good news of great joy that will be for all the people. For unto you is born this day in the city of David a Savior, who is Christ the Lord’” (Luke 2:10-11 ). The angels are sovereignly sent to proclaim the Savior who is sovereignly commissioned from all eternity. And his title, “Savior,” is telling. It indicates that he is one who delivers the helpless, hopeless, and rebellious from a direct threat. The wrath of God for eternity is our direct threat. Motivated by his own love, God mercifully sends the Savior. This little baby in the manger will grow, obey God’s moral standard perfectly, all so that he can hang on the cross to absorb God’s wrath in our place. It’s mercy at its finest. The peace will come, but it will only come to those “with whom [God] is pleased” (Luke 2:14 ). It does not say, “Good will to men, in general.” The angels are not delivering a 60’s Hallmark card from heaven. They are not saying, “Peace to everybody, whether or not you embrace heaven’s gift, God the Son.” If someone repudiates God by rejecting his Son, God’s wrath, not pleasure and peace, rest on them (cf. John 3:36 ). When the shepherds saw the angelic choir that first Christmas, it lit a fire in them. They heard. They believed. They ran. They saw. They celebrated. It was the thing happening. And Christ is still the thing happening. “To live is Christ” (Phil 1:21 ). Christmas did not happen because the human race finally arrived at a certain level of moral elegance such that God said, “Wow, OK, that’s impressive. 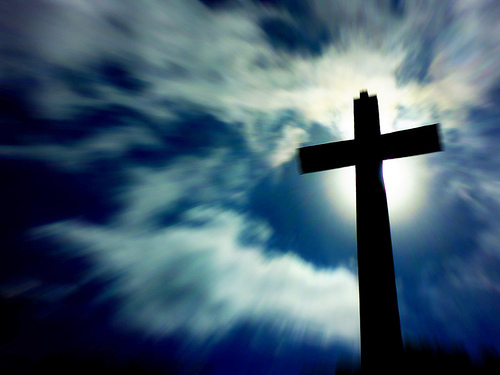 Now I’ll come to earth.” This was a single-handed orchestration of God’s sovereign grace. God worked in spite of us, yet for us. The result is that salvation has arrived in the Person of Christ. Here we are two millennia on the other side of that which many prophets longed to see. Christ has come and accomplished what we could not. God is working everything for good. It’s all going to be OK, and better than OK for all in Christ. This Christmas, bask in awe at the loving demonstration of God’s sovereignty in bringing salvation to us.